This specialist equalization clinic is designed to heighten your awareness of the complexities of deep equalization. You will be guided through the anatomical workings of the mouth/throat and ears in simple easy to understand language with the aid of diagrams and dry exercises. You will gain a greater understanding of the frenzil and mouthfill techniques. Learn how to perform them correctly on land before putting them into practice in the water. Unleash the power of the mind! Learning how to overcome fears and stress is a skill that will not only vastly improve your free diving but can also be applicable to everyday life! 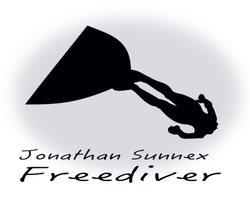 Learn techniques which Jonathan has used and developed to enable him to make dives to well below 100m and win World championship medals! Although we train the body, it is the mind that enables us to perform such remarkable feats. Learning how to control ones mind is a key ingredient to success! Private coaching and training is available upon request. For further information please contact us.